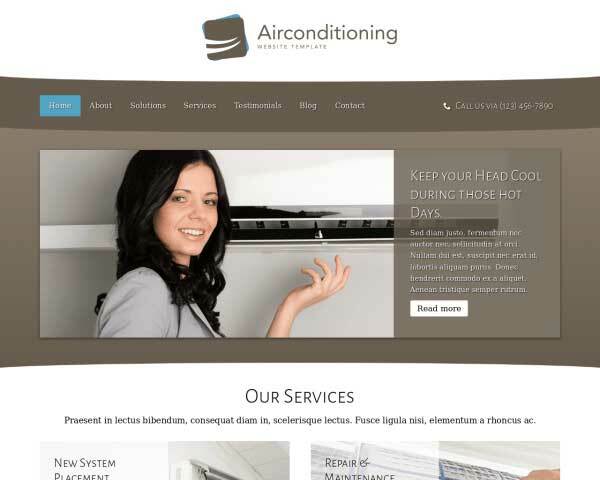 With a sleek, professional website for your air conditioning company, you'll reach more clients and convince them of your reliable service. 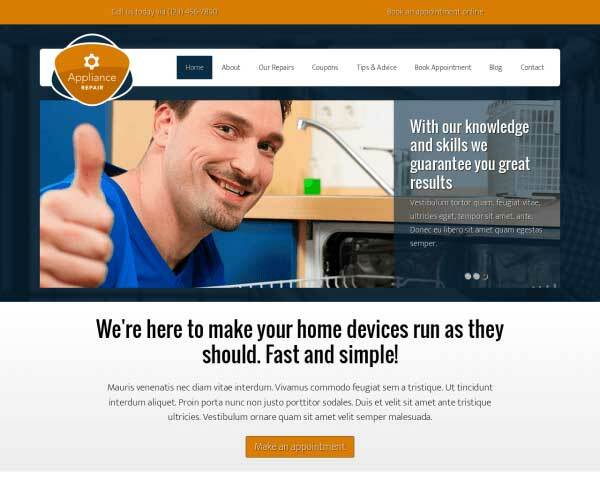 Make a great impression online with the AC Repair WordPress Theme, already set up with everything you need to get your new website online fast! For any business a solid web presence is important. And the hvac industry will prove to be no exception to this rule. 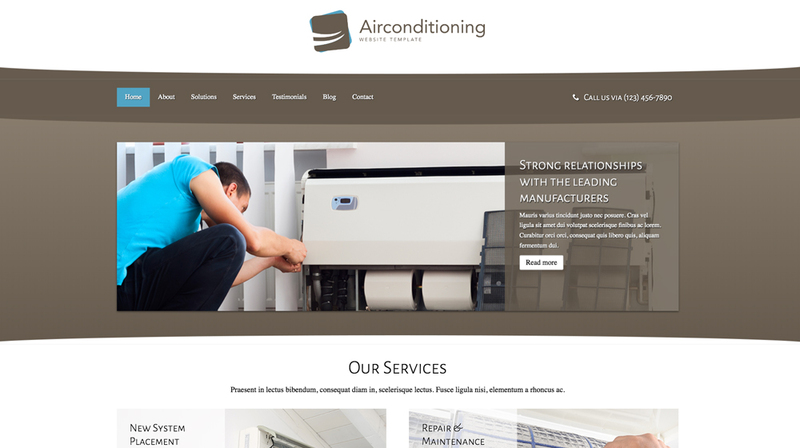 What we've tried to do with AC Repair WordPress Theme is lowering the threshold for professional hvac specialists to go online and reap the benefits of this powerful medium. 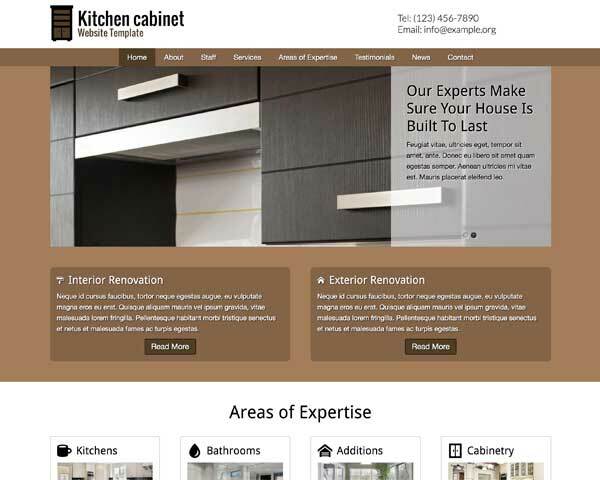 This theme incorporates best practices in terms of layout and design. It also features a turnkey installation. This means that upon activation you'll have the complete layout of the demo environment. 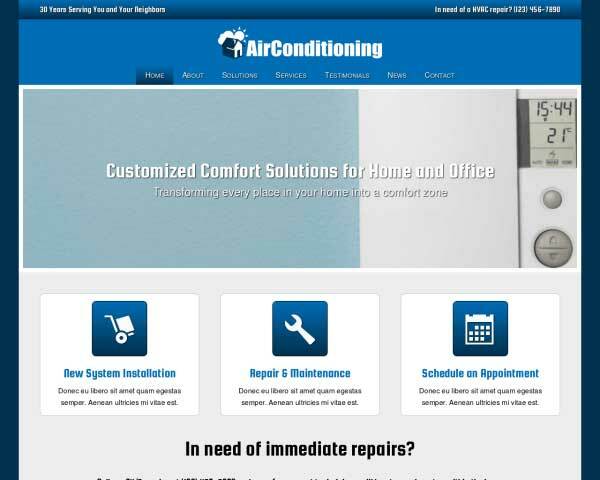 Fully responsive and optimized for mobile devices the AC Repair WordPress Theme theme takes the sites of hvac organizations to the next level. Keeping your blog updated regularly can increase page views and help boost rankings.The AC Repair WordPress Theme comes with a blog, plus several sample articles. 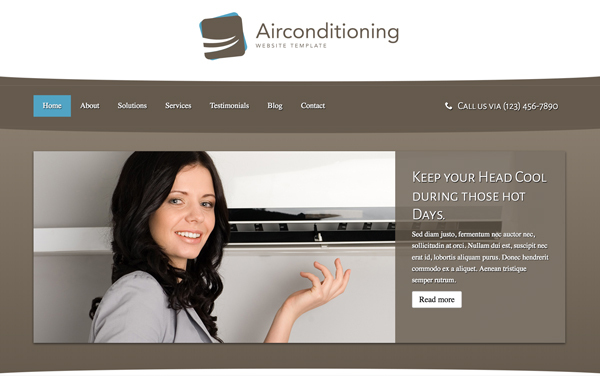 Allow visitors to book online anytime with the AC Repair WordPress Theme's built-in reservations form. The fields can easily be customized to suit your needs. We conducted thorough research, before developing this theme, to determine the specific business needs of hvac specialists. This ensures that the theme best matches your needs. 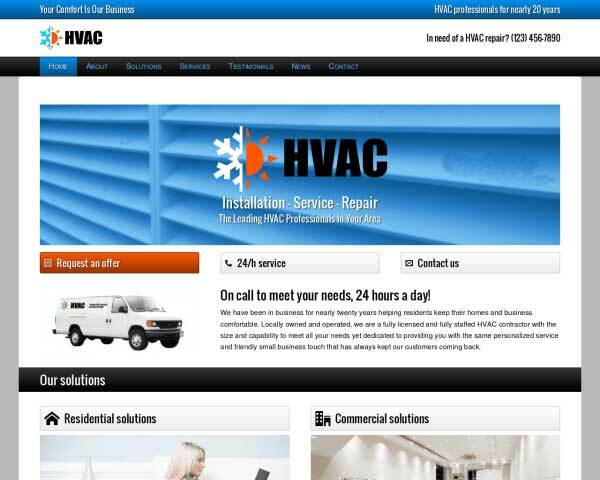 On every page of this WordPress theme for hvac specialists, visitors are encouraged to take action and get in touch. Mobile visitors can just tap on your phone number to dial. 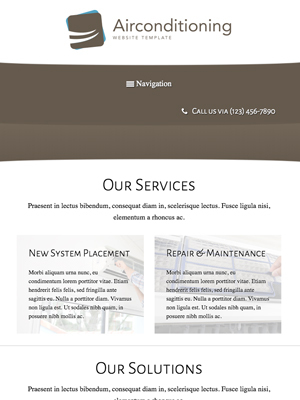 The AC Repair WordPress Theme's attention-grabbing image slider includes options to add titles, descriptions and links to pages on your website. 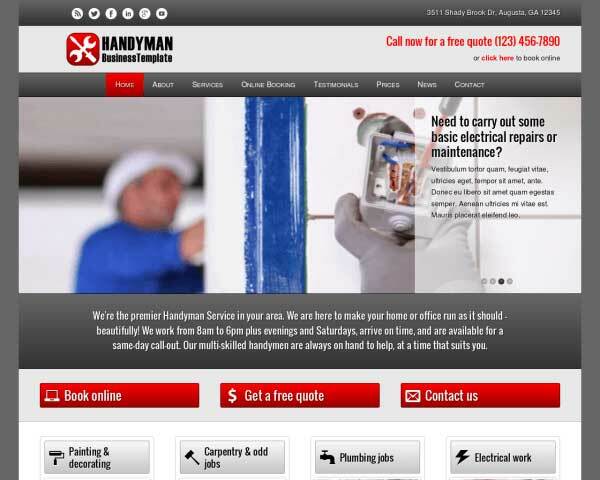 This premium AC Repair WordPress Theme includes a feature-rich contact page, with an integrated Google map, route planner and handy, easy-to-customize contact form. The AC Repair WordPress Theme is integrated with popular social media platforms, allowing visitors to easily share your content. Link to your own pages or even display your Tweets! A great sign of trust are the various associations or brands you've tied your maintenance business to. 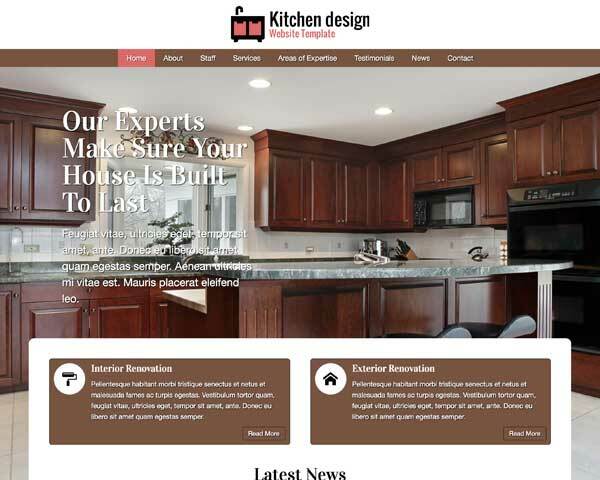 With this theme you have an easy way to shown them on your site. 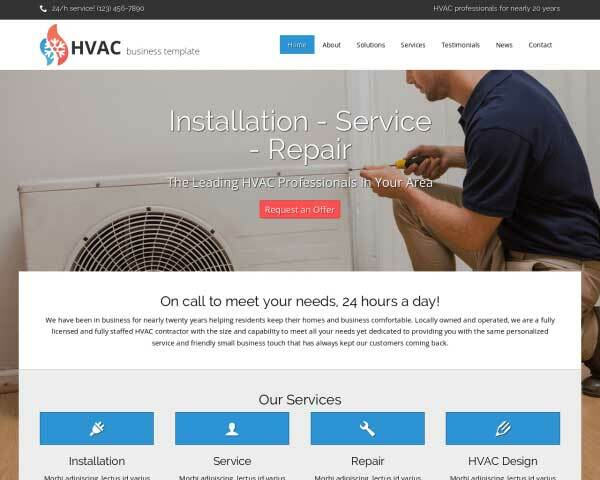 Make sure than visitors can easily check site info on the go when you build your hvac website with this responsive AC Repair WordPress Theme. Featuring the same professional design and functionality of the desktop version, the mobile version will look great and work perfectly even on small screens. Our mobile-optimized design does all the work for you; no plugins or coding are required. Your content will automatically adjust to display neatly based on the screen size of each mobile device.